Sunita starts her day as a house help. She juggles between jobs,picking her children up from school,managing to keep their smile alive by hiding the sadness behind hers. Sunil,Sunitas husband is suffering from kidney failure and requires urgent transplant. 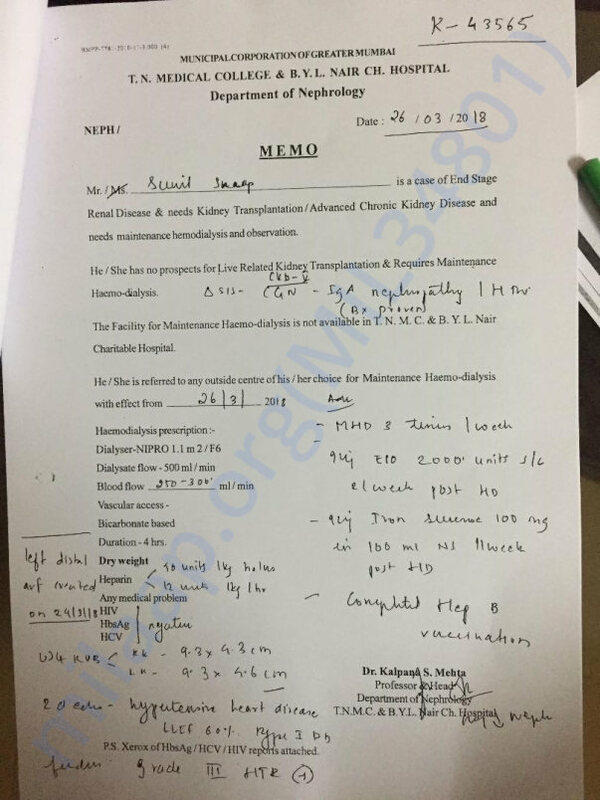 By the grace of God he has received a donor who is to be paid 500000. Cost of additional overhead medical expenses would pile up too. She is leaving for Nashik so that Sunil's family,who is based there can help them out as she is alone in Mumbai. 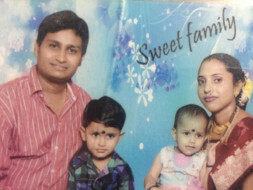 With the help of Milaap, i wish that we raise funds not only for Sunil,but for Sunita as a support system,for her children as a father who needs to stay alive. All she says every day as she comes to work is i want to se my children happy, they need their father.